The Barwell branch of Earl Shilton Building Society has reopened for business following refurbishment works to enhance its services and customer experience. The branch, located at Malt Mill Bank in the Leicestershire village, has been an integral part of the business for many years and has now been brought in line with its Earl Shilton counterpart, which was given a major revamp in 2013. 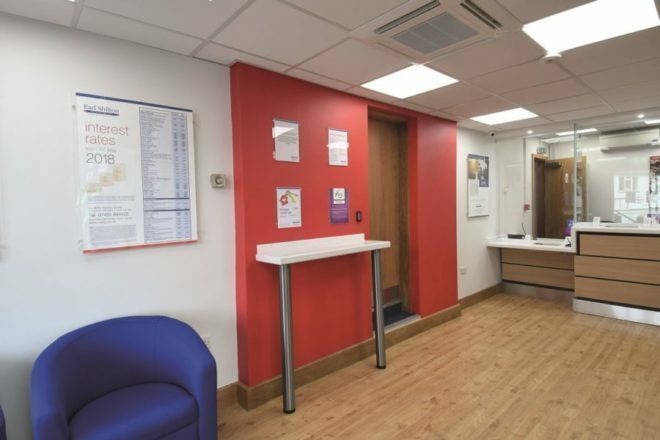 Improvements to the Barwell branch include replacement of the signage to brand match it to the Head Office, a complete reimaging of the interior layout, as well as a new interview room and customer counter. The completion of the works is due to be marked at an official re-launch event on Thursday 14th June. “These works have allowed us to enhance the facilities and services that we offer to our members at the branch, and is a significant moment not only for those people but for the wider local community. Paul Tilley, Chief Executive of Earl Shilton Building Society, said: “It’s with a great sense of pleasure that I announce the reopening of our Barwell branch following significant and important refurbishment works. Further details on Earl Shilton Building Society are available at www.esbs.co.uk.